There’s a lot more to contemporary magic than meets the eye. Today’s magicians are more creative, more daring, more talented and skilled than ever, and plenty of them have become household names. Stars like the award-winning Dynamo and mentalist Derren Brown, magician-comedian Pete Firman, and Ben Hanlin, who describes himself as a mix of David Blaine and Derren Brown. People like the magician and illusionist Jamie Raven have changed the way we feel about magic, elevating it way beyond the traditional card tricks, bunnies out of hats and sawn-in-half ladies of previous generations. 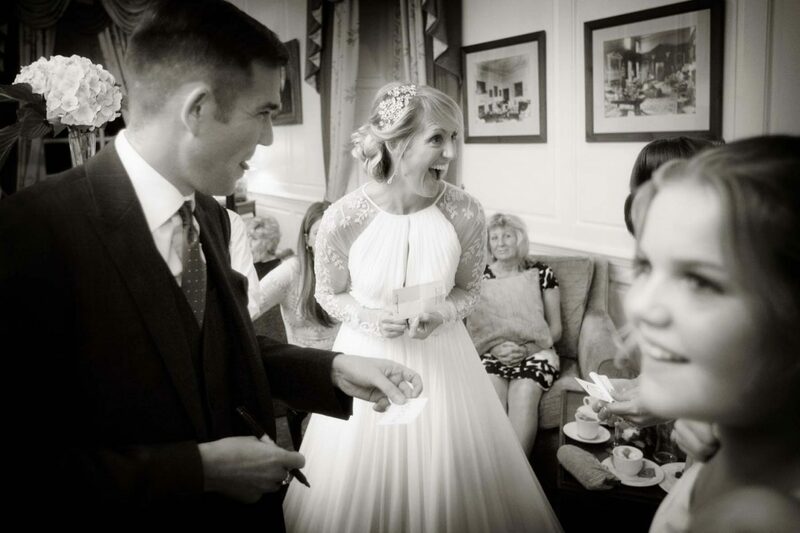 So what can you expect from a wedding magician in Surrey? If you hire Edward Crawford, you’ll find yourself transported into a world where nothing is the way it seems, where your thoughts aren’t your own, where very strange things happen, things you really can’t explain. Are you ready to experience the extraordinary power of the human mind for yourself? Are you prepared for a truly amazing display of beautifully bizarre talent without a single card trick in sight? No doves, no bunnies, no boring strings of hankies or yawningly un-magical metal hoops, just a wholly convincing, awe-inspiring performance that’ll leave you breathless, baffled and begging for more. 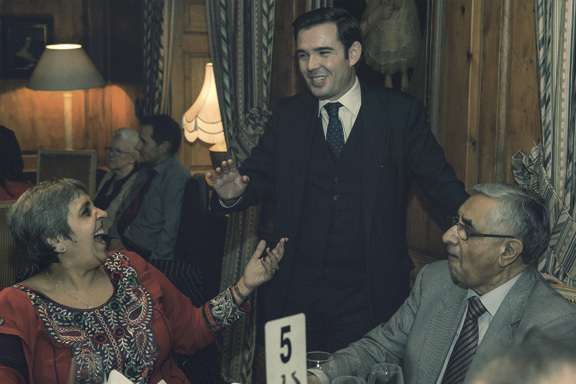 Why stand aloof on a stage when you can mingle with your audience and blow their minds with the very finest in close-up magic? Edward loves to mix with people, and he’ll mix with your guests. He gets a kick out of engaging people in intimate displays of mind reading and contemporary magic, and it shows. You quite literally won’t believe your eyes. Weddings these days are magical events in themselves, so much more creative and imaginative than they used to be. It’s great to see. 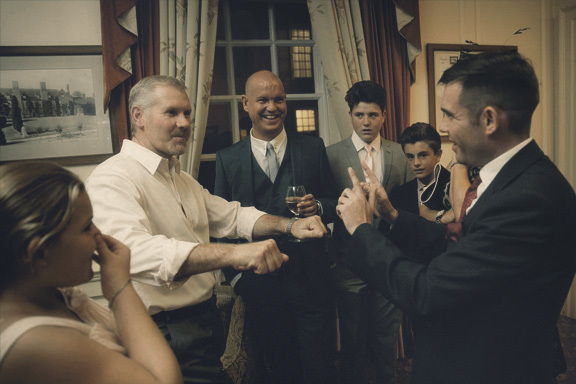 No wonder Edward’s wedding magician performances are so popular, the ideal way to entertain guests in between the ceremony and wedding breakfast, or the daytime and evening events, those quiet times when things can slow down a bit too much. You want to impress your clients, treat them to something special, pull something unusual out of the bag to boost your brand? 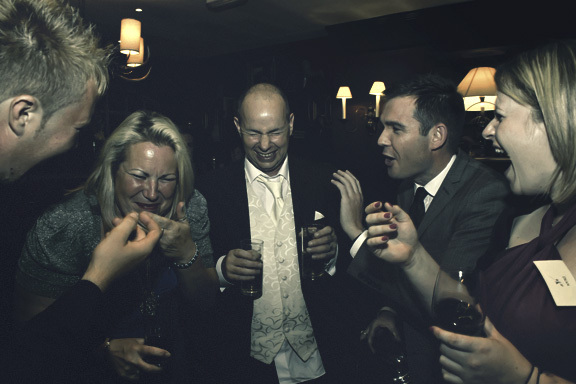 Hey presto, Edward specialises in unique corporate entertainment, whether it’s a dinner party or cocktail party, team building event, trade show or awards night. Christmas is sparkly all on its own. But add a magician and it really glitters. Edward loves entertaining at seasonal events like private parties, balls and banquets, whatever their size. His performance adds extra excitement to festive events, leaving audiences gasping in astonishment. How on earth does he do it?Hire him and see. 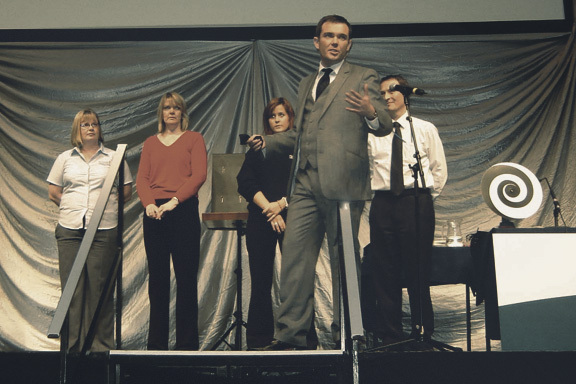 Edward’s exceptional stage show combines mind reading with humour, and because he involves his audiences intimately throughout the show, with plenty of participation throughout, the impact is truly personal, truly special. It’s a winning combination. It’s powerful stuff. When Edward combines the thrilling theatricality of a stage show with plenty of intimate personal interaction with your guests, the result is quite simply awesome. Because Edward has spent so much time exploring psychology, parapsychology, the supernatural and the fine art of the con, his act is extraordinary. Combining all the elements of modern magic he’s most fascinated by, the results are uniquely entertaining. To book Edward Crawford for your event, click on the contact link at the top of the page.